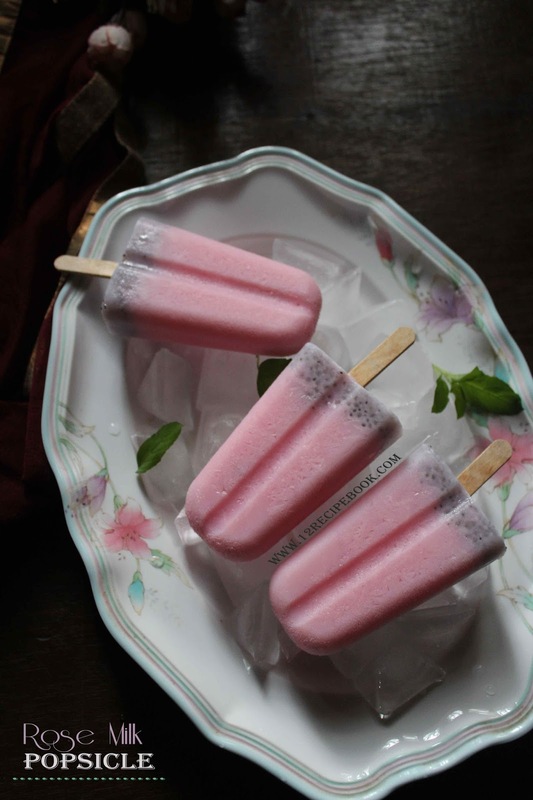 Ice pops are favorite addiction for most of them especially when it is homemade. 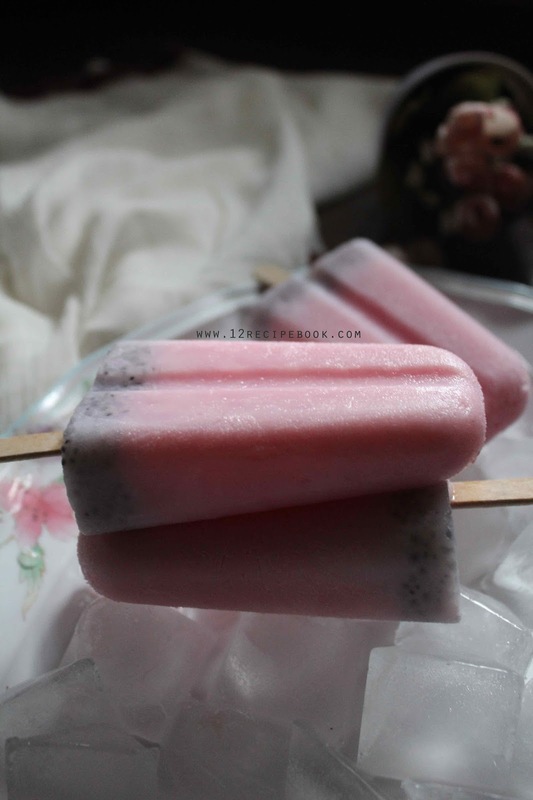 Try this quick and simple rose milk popsicles with sabja seeds and surprise your kids! Boil milk in a pan and allow to cool completely. Soak the sabja seeds in water for about 10 minutes to puff. Mix the cooled milk with fresh cream, sweetened condensed milk and cardamom powder. Mix well and Pour in to Popsicle molds at it's 3/4 th level. Add a heaped teaspoon of sabja seeds on each mould and mix gently. Freeze for at least 5-6 hours or until set. Remove it from the ice molds easily by pouring some running water under the ice molds.